The Spine Care Center specializes in helping people take care of their spine with drug-free Conservative Spine Care. 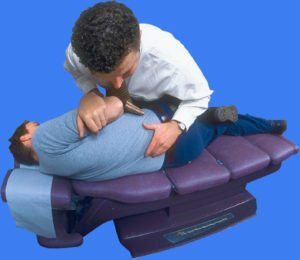 Conservative Spine Care is a hands on, patient-centered approach, which combines spinal adjustments and postural exercises to help mobilize and realign the spine. The big problem we see in spine health is that when the spine starts to pull out of alignment specific areas of the spine can become stiff and rigid. This loss of motion can eventually lead to pain, disc bulging, disc herniation, stenosis, spondylosis, arthritis, and impaired nerve function. When the spine is out of alignment this can also stress the nervous system. Stress on the nervous system can affect overall health, function, and quality of life. How Do We Evaluate Spinal Alignment? locate ​the specific spinal areas that are not moving properly. © 2019. Spine Care Center. All Rights Reserved.